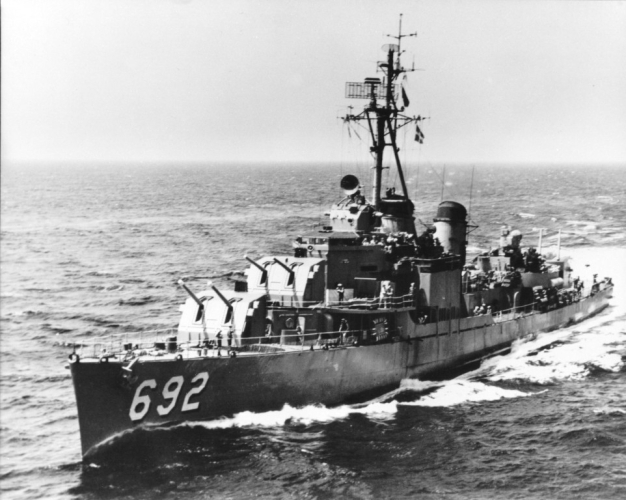 Early on 6 January, SUMNER moved into Lingayen Gulf to support minesweeping operations. Around noon, her unit came under air attack by kamikazes. The first plane retreated in the face of a heavy antiaircraft barrage while the second attacker hovered just out of range as a decoy to mask a run in by a third suicider. The latter plane dove on SUMNER strafing as he came. He swooped in out of the sun on the destroyers port bow and crashed into her near the after stack and after torpedo mount. The warship lost 16 men killed and 27 injured. Extensive damage required her to retire from the gulf and join the heavy units of TG 77.2.